1. 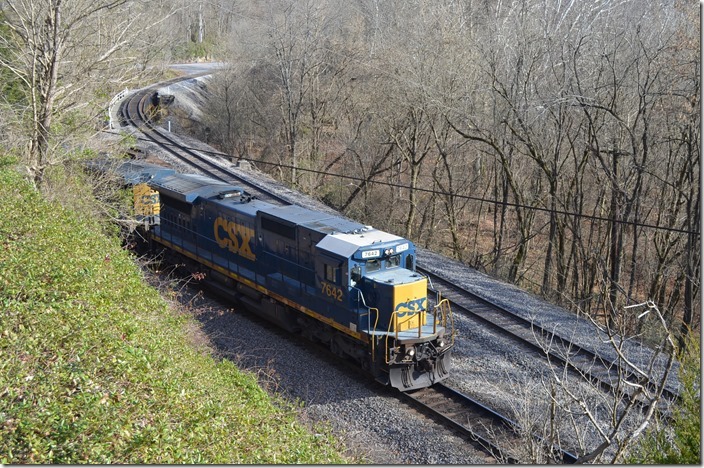 NS Clinch Valley District climbing grade out of St. Paul. 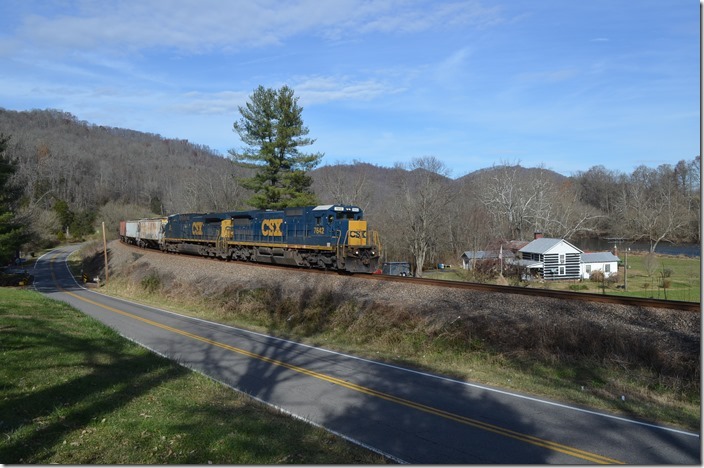 CSX Kingsport SD along Clinch River. Although it is called Burton’s Ford there is no ford there now. I mistakenly stumbled into this great photo spot thinking of Carfax (I left the DeLorme at home). 2. 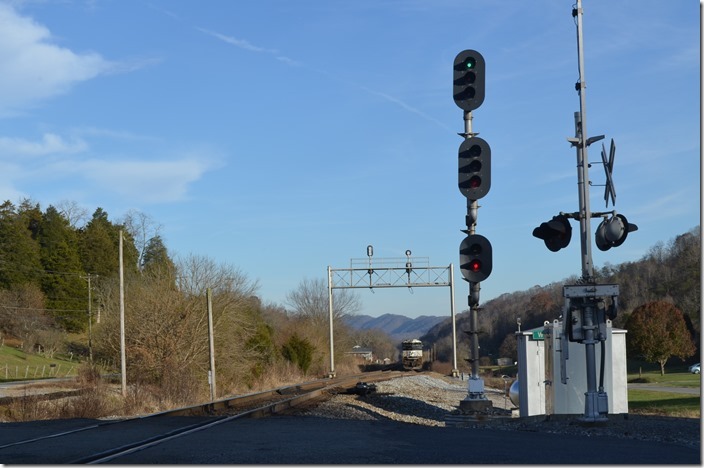 Approach signal for a southbound on CSX at Boody. 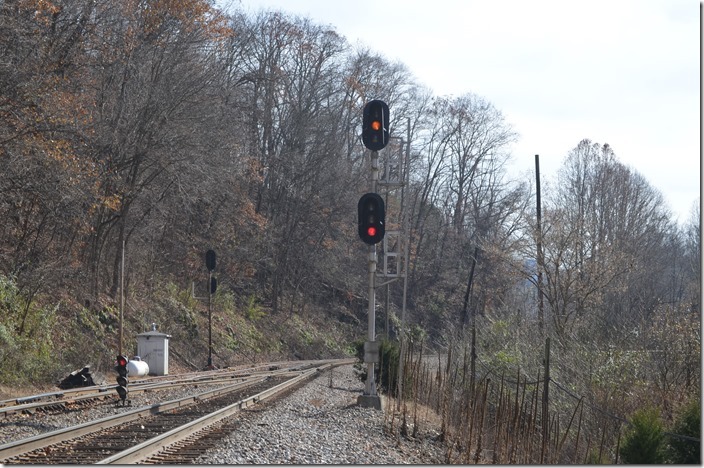 The now-inactive interchange with NS (N&W) extends off the passing siding on the left. 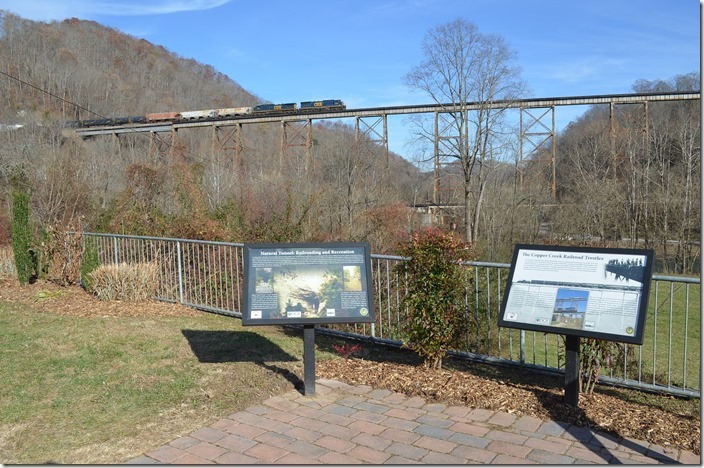 Clinchfield gave N&W a lot of coal here over the years until the merger. 3. Southbound Q698 with 7642-89 slows to cross NS which is coming in from the right. Q698 had 54 cars today. From Dungannon to Copper Creek the speed limit is 40 m.p.h. almost all of that distance which is about 22 miles. It was all I could do to get ahead of him on those curvy roads. 5. 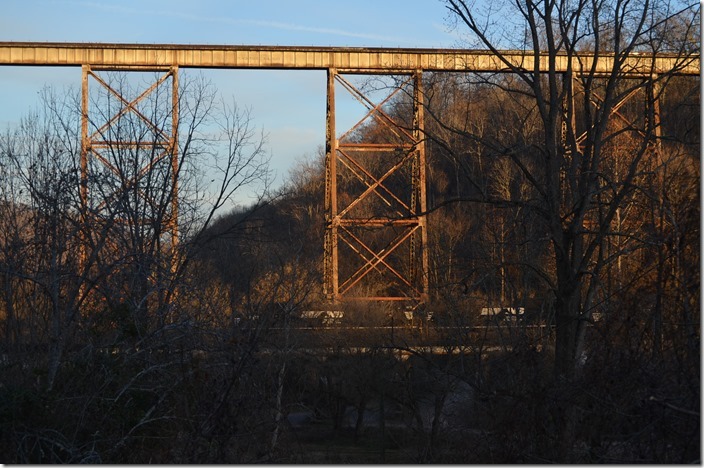 Q698 from the viewing wayside along US 23 at Copper Creek trestle. 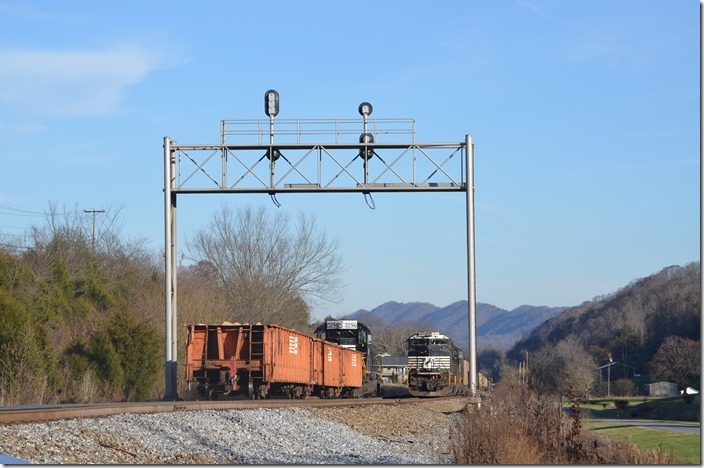 He got stuck at Kermit following P913 which arrived Kingsport promptly at 3:08. 6. 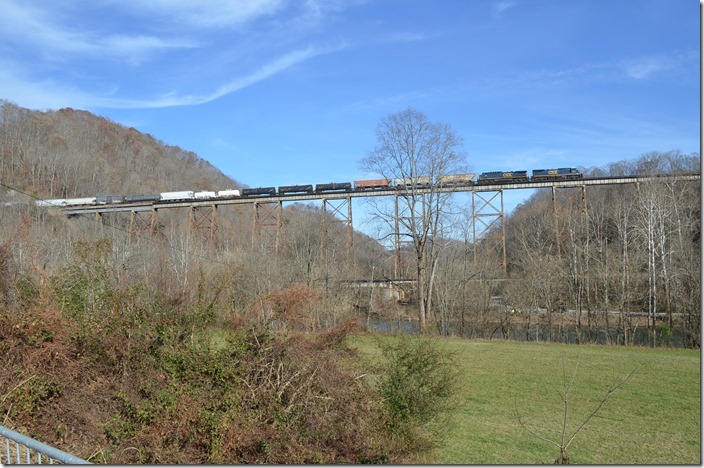 Q698 from the viewing wayside along US 23 at Copper Creek trestle. View 2. 7. An eastbound NS local or work train came by on the former Southern. 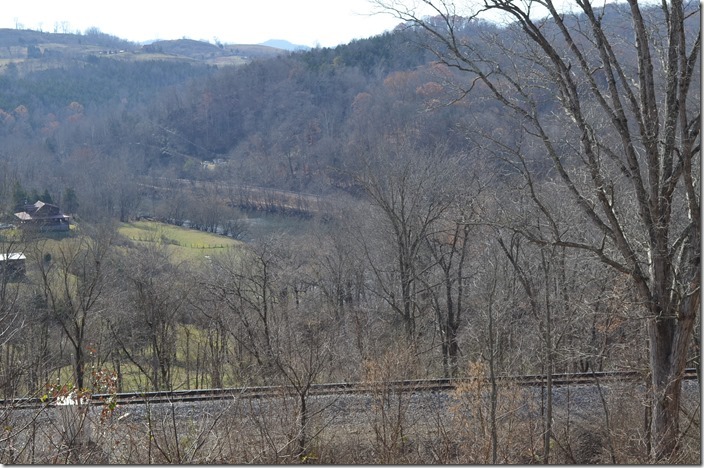 He has a high green at the west end of Watkins siding at Daniel Boone. 8. An eastbound NS local or work train came by on the former Southern. View 2. 9. NS 2673-2629-7637 on w/b No. 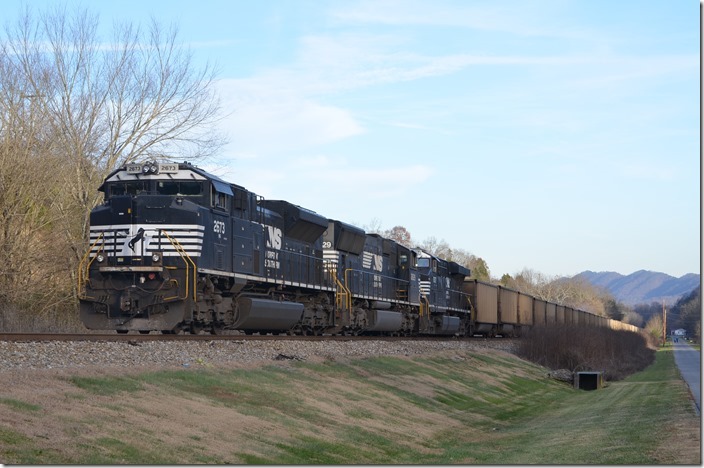 745 (DKPX empties) wait for a trio of CSX lite engines. 10. 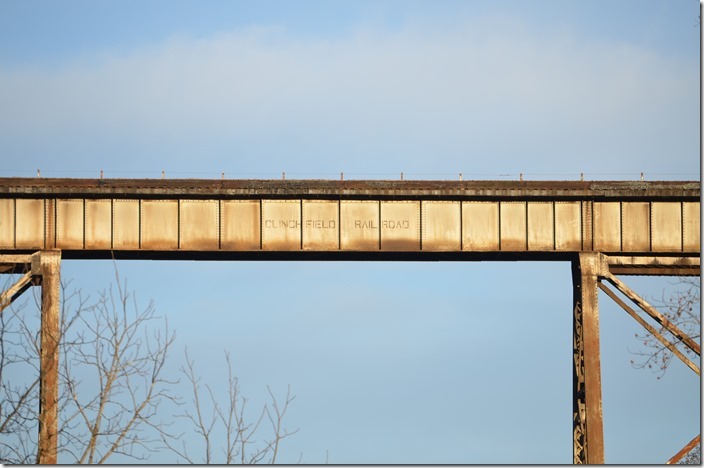 Clinchfield heritage will live on for years (railroads don’t repaint bridges anymore). 11. NS 745 moves on toward Andover. 12. Finally P913 gets unloaded and out of Kingsport. 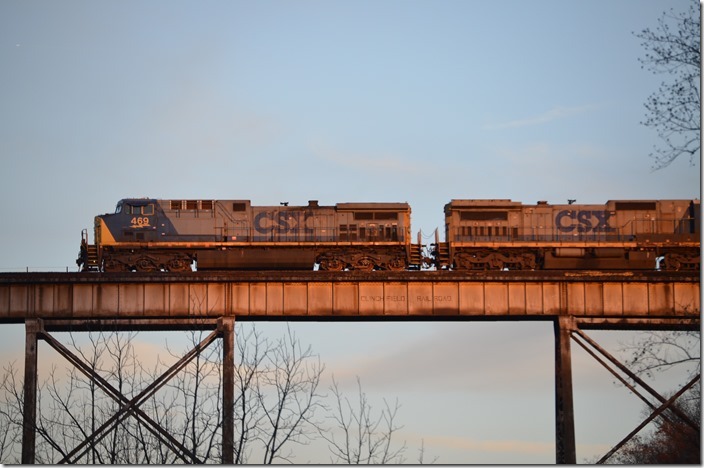 In the last rays of sunlight n/b empty ethanol train K428 rumbles toward Shelby behind 469-7503 with 81 cars. Whew! Didn’t think I’d have any light!